AFC Mansfield and experienced manager Rudy Funk have parted company by mutual consent. 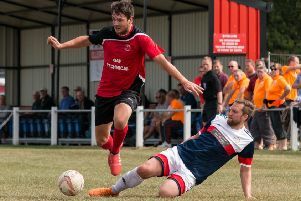 Funk has guided the Bulls since November 2014, leading them to promotion to the Premier Division of the Northern Counties East League and then to the Northern Premier League East Division. They have also had successful runs in the FA Cup and FA Vase during his tenure. A club statement said: “It is with the greatest reluctance that AFC Mansfield and manager Rudy Funk have parted ways by mutual consent. “We would like to thank Rudy for the last four years, in what has been an incredible rise for this football club, which has achieved the heights of the Northern Premier League thanks to the efforts of Rudy and his team. “The club would like to put on record our gratefulness for Rudy’s efforts, and wish him all the best in his future endeavours. AFC, whose match at Ossett United was postponed because of a frozen pitch on Saturday, are currently 19th, but only three points behind 14th-placed Wisbech Town.